With this book, without a presumption of being scientific or complete, but rather tentatively an aesthetic approach, I offer my underwater observations on Red Sea species seen in this region between 2000-2015, comprising my best 128 photographs and 58 species. Our account is verified daily and we will send your book by post office mail as soon as we receive proof of payment. Note: Wire transfer expenses may be high and they must be paid by you: if you prefer payment by credit card, please fill in the linked formand fax it to us at the number given in the form (or scan and send it to the email address above). The form below must be filled out completely and correctly in order to avoid any shipment inconveniences. Whilst diving in the Aegean and the Med in the 90’s, I heard that some of the big-eyed fish hiding under the rocks had actually come from the Red Sea. Since then, impressed by this region and having decided to base my professional activities here, I have the opportunity to follow my interest in the amazing biodiversity and dynamics of Kaş underwater. I must say that having the privilege to dive 12 months a year in Kaş-Kekova Marine Protected Area and being a stakeholder in this region made me see it as a duty to record and document my observations. A closed sea, the evolution of the Mediterranean is affected profoundly by invasive species. Our region, given its geographical position, is influenced by those coming through the Suez Canal. Since its earliest days, this “lessepsian” migration has attracted the interest of scientists, documentary directors and divers alike. We, who are making a living here in scuba diving, are following the changing biodiversity with curiosity and sometimes with concern. If you see any possibly foreign species anywhere on the Mediterranean, please let us know by filling the form at the end of this book and sending it to us. This will help scientists monitor such invasive sightings. We will get beck to you with species information. 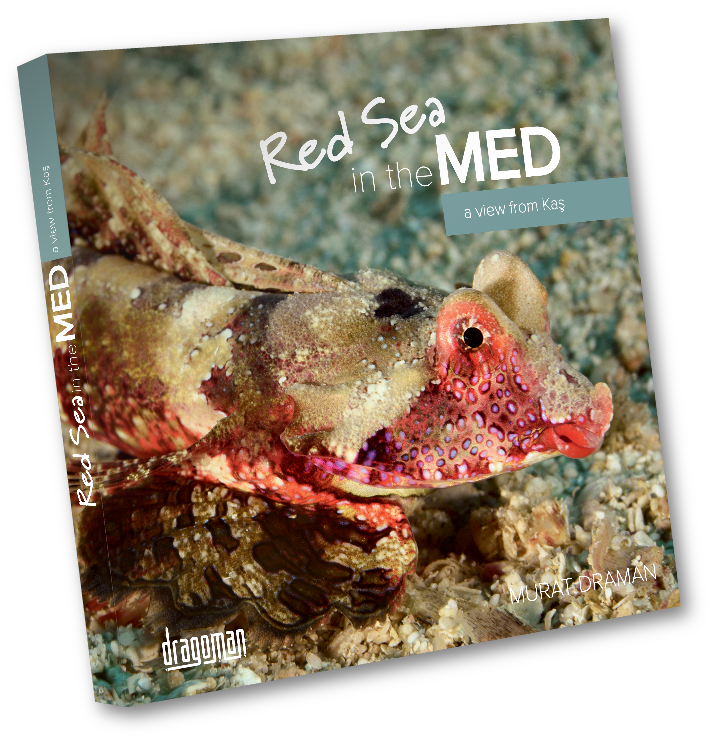 With this book, without a presumption of being scientific or complete, but rather tentatively an aesthetic approach, I offer my underwater observations on Red Sea species seen in this region between 2000 – 2015 with 128 photographs of 58 species. Commentaries, I have tried to keep as short as possible, aim at providing some species-specific or local information, through the eyes of a diver. A lot of persistence, patience and endless photos went into hundreds of dives that were also food for my soul. I hope I may share these creatures with those who look underwater with love and curiosity, through a window that mainly opens towards their beauty. 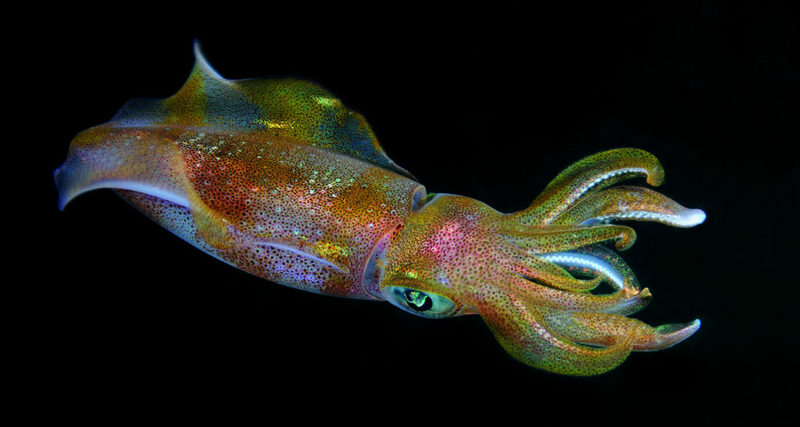 It’s hard not to be amazed by nature’s creatures, but those that are underwater are harder to reach and mysterious: impossible to reveal those fabulous colours without the flashlights of underwater cameras. This is our one privilege, I hope you enjoy looking through this window too!